Kerisha Mark. The agony of 36NNN breasts. Breast reduction a must. Home Scandal and Gossip Kerisha Mark. The agony of 36NNN breasts. Breast reduction a must. 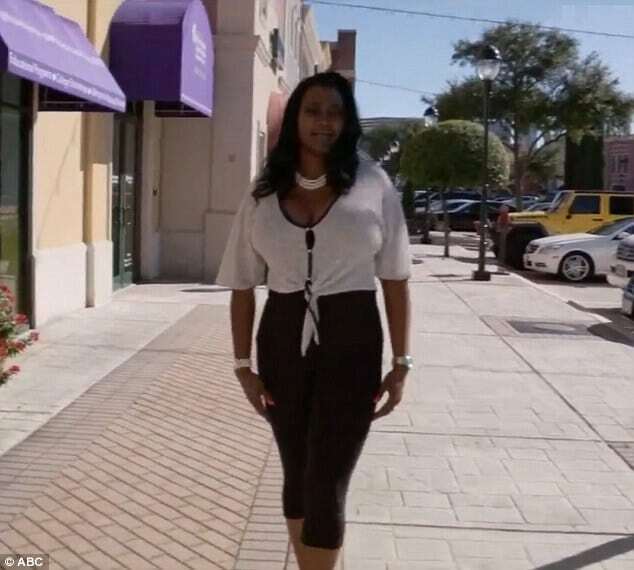 In an effort to finally address the sharp pain Kerisha Mark from Beaumont, Texas was increasingly beginning to feel the 39 year old made an appointment at the doctors fearing she was exhibiting symptoms of a heart attack or a brain tumor. She was wrong, it all was all to do with her 36NNN sized breasts and a rare condition, gigantomastia. Throughout her life Kerisha Mark acknowledges having an exceptionally large chest, with her chest by the time she was in her late 30’s morphing into a staggering size 36NNN. Why it was growing at such a rate was anyone’s guess until a recent visit to the doctors where the woman came to find her larger than normal breasts were the result of a hormonal condition, aka gigantomastia. Gigantomastia is diagnosed when breast weight exceeds three per cent of a person’s body weight. The enlargement can cause muscle pain, and over-stretching of the skin envelope, which can lead to ulceration. The condition usually affects one breast more than the other, causing asymmetry. It is thought the underlying cause of the condition is a heightened sensitivity to female hormones prolactin, oestrogen and progesterone. In Kerisha Mark’s case the condition resulted in pulled chest muscles, severe back pain and emotional distress. Kerisha Mark and Dr Rose. Guessing her breasts weighed around 15lbs each, and telling she had been forced to use duct tape to hold them in place, Kerisha Mark decided upon turning 40 to have breast reduction surgery. Performing the operation was Dr Franklin Rose, a plastic surgeon based in Houston who would go on to tell that he could not remember seeing a patient with larger breasts in his 35-year career. Reiterating: ‘The breasts really hung down to her hips and were essentially like carrying around three basketballs at all times because they were so large. During surgery, Dr Rose recruited a colleague to help with the four-hour operation, where he removed 15lbs of breast tissue. In the end Kerisha Mark would be left with a ‘nice full’ DD cup bust told Dr Rose. A month after surgery, which took place in October, Kerisha Mark is planning to start exercising again, and is excited at the prospect of a new wardrobe. And when the operation was complete, she said she was overcome by emotions she hadn’t expected. That said the woman is looking forward to a pain-free future. ‘My first thing on the agenda is to purchase a beautiful bra and second is to buy a strapless dress,‘ she added. The consequences of having large breasts can be devastating, ranging from crippling back pain, neck and arm pain to headaches, friction rash and a curvature of the spine. Embarrassment can deter women from exercising, leaving them prone to health problems linked to obesity, including diabetes and heart disease. According to the UK’s dailymail, a study published in the Journal of Plastic and Reconstructive Surgery in 2012 found that a woman with very large breasts can lose five years off her expected lifespan if she does not have a reduction.